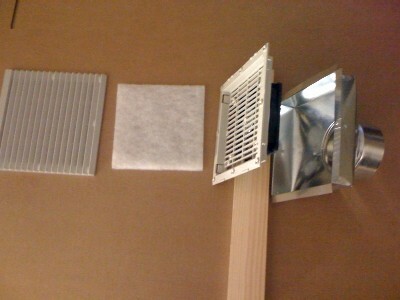 The Solar Air Systems Model 208 Vent kit is a custom designed vent kit for our module design solar air heaters. The industry standard 4 inch round female end excepts standard vent pipe that can be purchased locally. Easy installation includes wall template for position and cutting.